importance to the AED Outlet. Our shopping application is safe and secure, protecting both your personal information and all credit card transactions. We will never sell, divulge, disseminate or give away any information submitted to this site to outside parties for any reason as outlined in our Privacy Statement. This is our personal promise to you, our loyal customers! 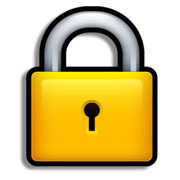 The security lock icon (in 3.0 versions it's a key and in 4.0 versions it's a padlock in the lower left corner) should be a complete key or a lock in the locked position. The AED Outlet's Secure Server uses a certificate issued by Equifax Secure Certificate Authority. This identifies the AED Outlet's order system as a valid, secure Internet site. Versions 2 and 3 of Netscape may not recognize some of the current security certificates online. This in no way means the transaction or server is not secure. You can download the current browser versions as outlined below. If you have any difficulties or questions about Internet security please do not hesitate to contact us today.